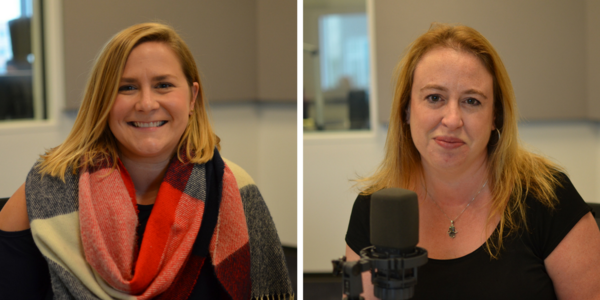 LIndsey Noblott and Lisa Greening joined St. Louis on the Air host Don Marsh to discuss a new St. Louis-wide literacy initiative launching this week. On Wednesday’s St. Louis on the Air, two organizers behind the effort joined host Don Marsh to discuss the initiative, what it will accomplish and how it will do so. Lisa Greening is the executive director of Ready Readers and Lindsey Noblott is the director of the St. Louis Regional Early Childhood Council. Greening said there are 15 organizations in the St. Louis area working on this early childhood literacy effort. She wanted to bring those organizations together to help families start at the beginning and to aid early childhood centers. “We can do this as a community, just as they do in most other communities around the United States,” Greening said. Noblott said the initiative will coalesce organizations in one room, create calls to action to increase early literacy. A new St. Louis city- and county-wide literacy initiative will be launched this week. St. Louis on the Air host Don Marsh speaks with two people behind it about what needs to improve about literacy in the region. When: Thursday, Sept. 28 at 10 a.m.